Oh My God! 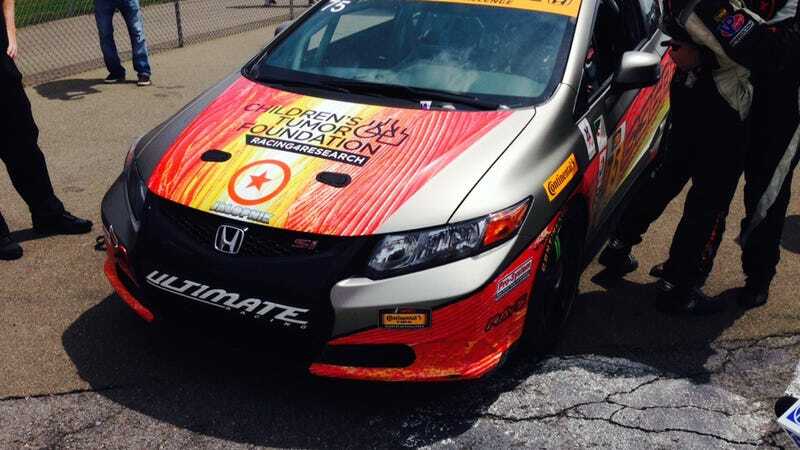 Ryan Eversley Won His Race With A Jalopnik Sticker! Proving that The Jalopnik Bump is a real thing, Ryan Eversley stopped by JALOP-1 this morning for some conversation and a couple of stickers. He put one of them on his Honda Civic and he freakin' won his class in the Continental 150 here at Watkins Glen! Not only did he win the race, he battled a Porsche Cayman and eventually bested it. Truly a miracle. We take back anything bad we've ever said about the Honda Civic.